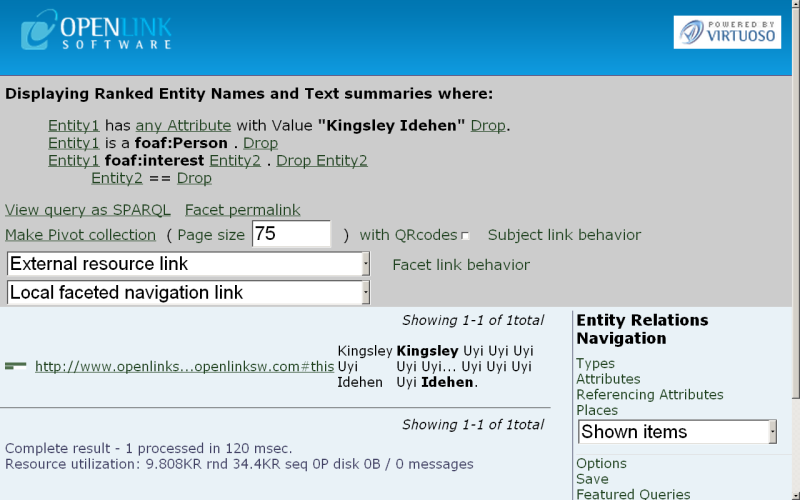 The following tutorial demonstrates a simple scenario of tracking Kingsley Idehen's conversations across the Web, using the Virtuoso Faceted Browser on the LOD Cloud Cache instance. 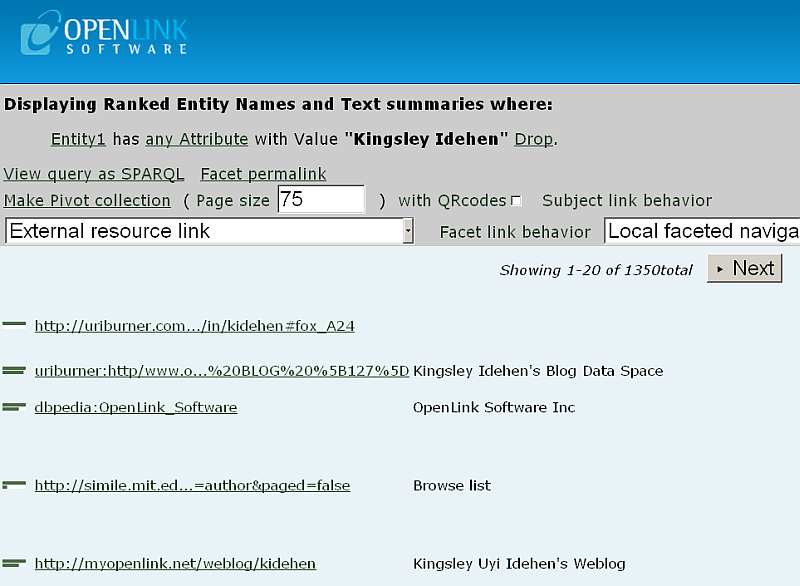 Click the Facets tab to return to the Types content page from the previous step. 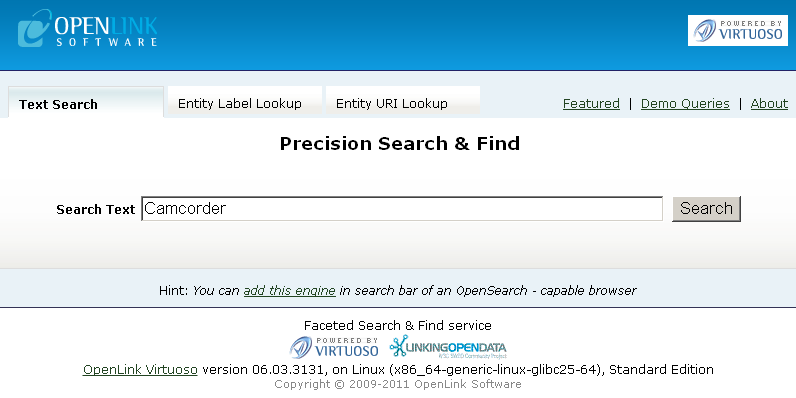 Note: To Negate (filter out) based on this Entity Type, you can un-tick the check-box shown beside the link. 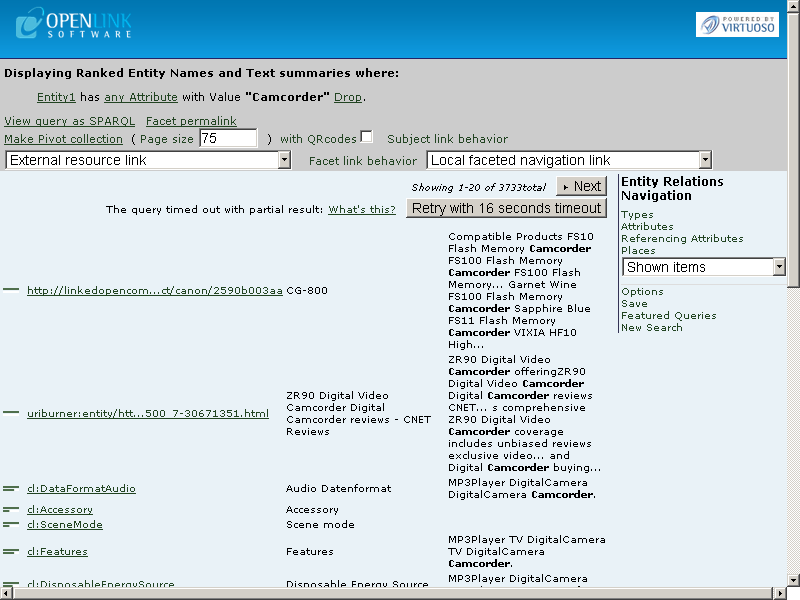 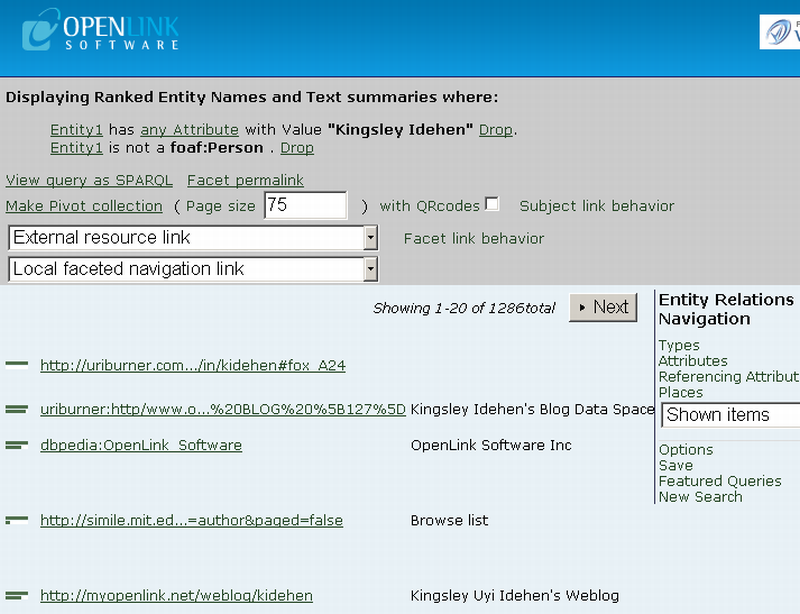 From Entity Relations Navigation, click Attributes. 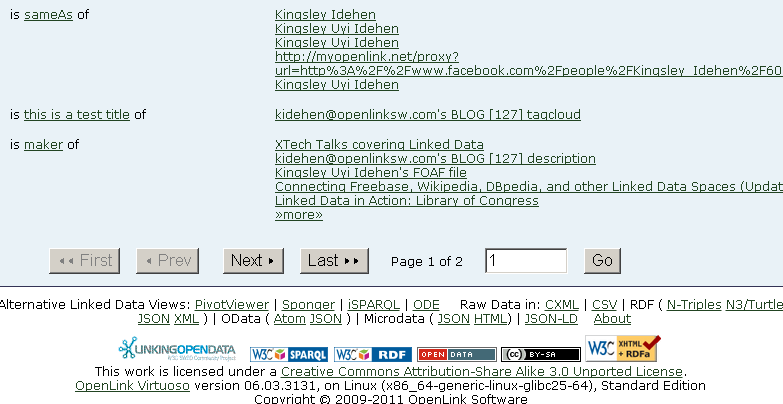 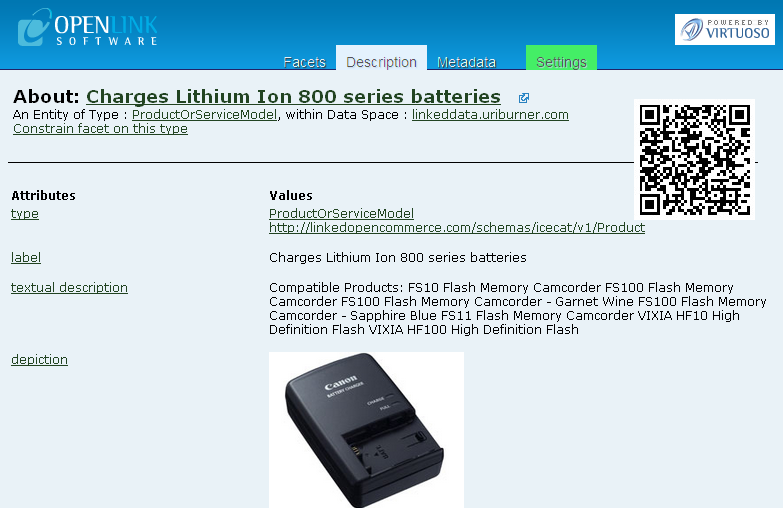 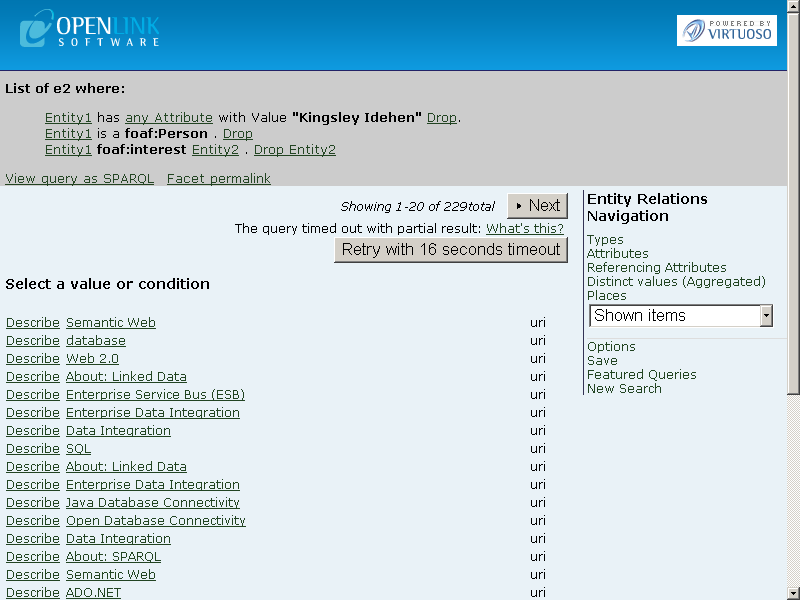 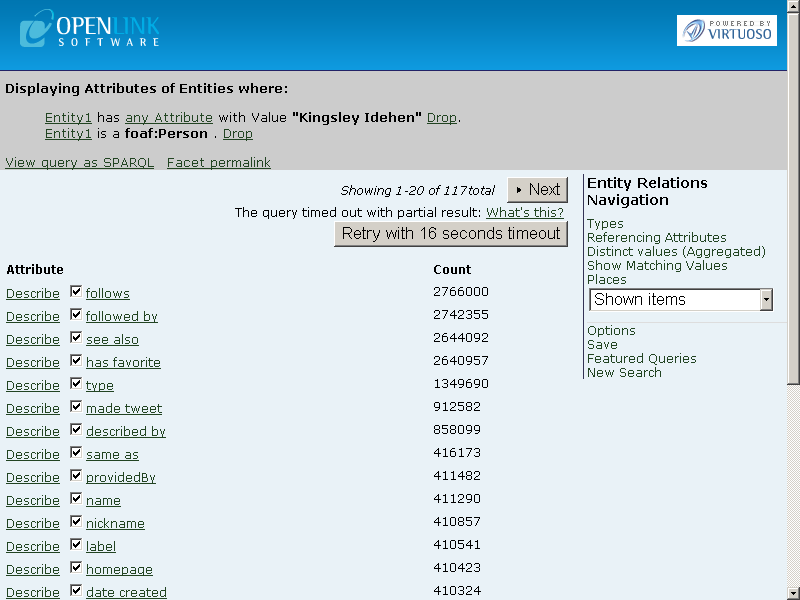 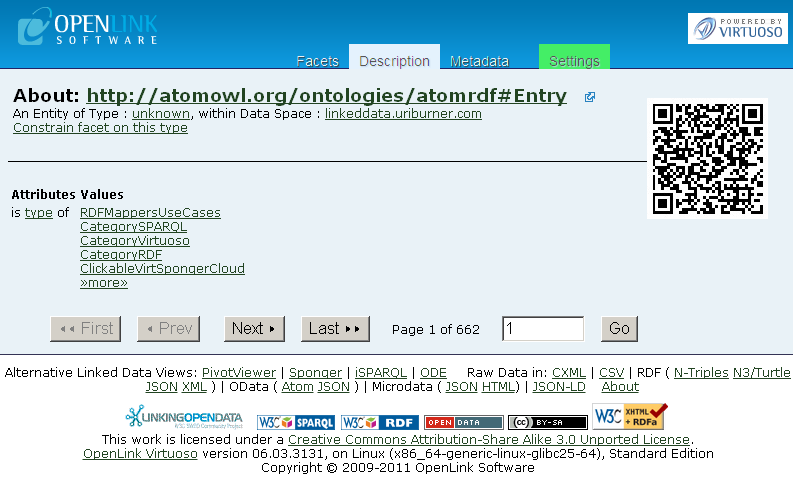 Click on the Metadata link to get a summary view of this Entity within this Linked Data Space. 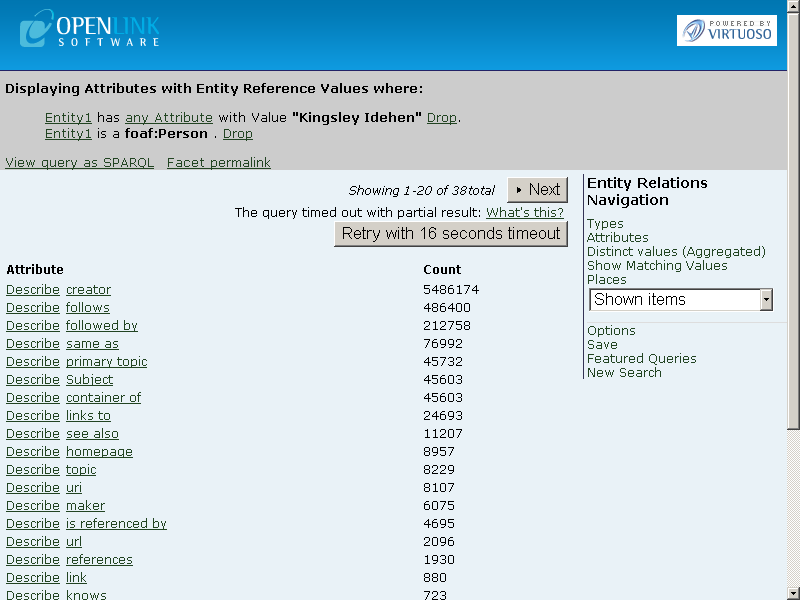 The Source tab shows ingested graphs which describe the specific Entity; the Reference tab shows ingested graphs which mention the specific Entity. 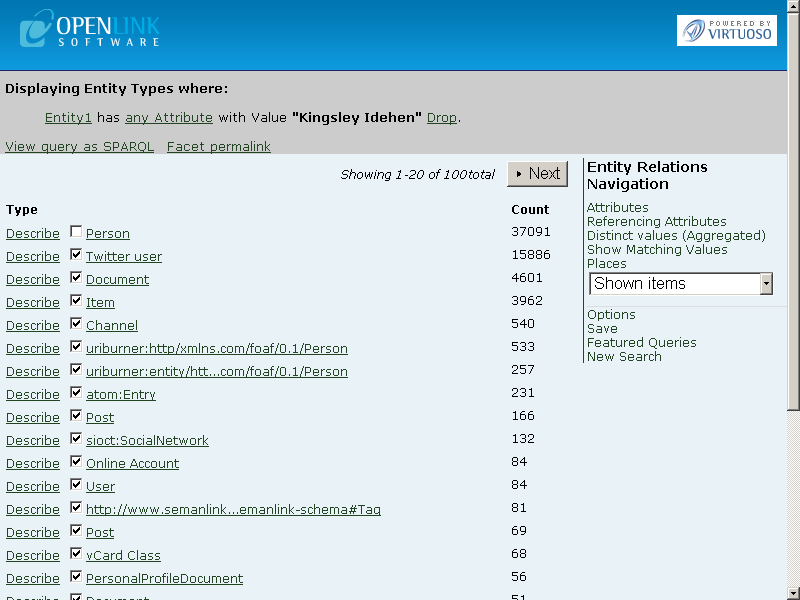 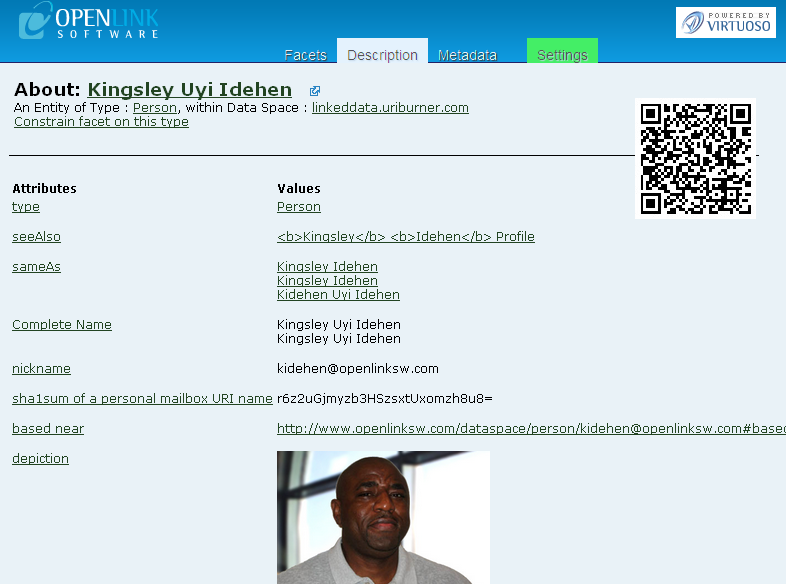 As a result, each link will unveil a UNION (combination) of all the the data associated with all of Kingsley Idehen's other Identifiers</g> (other Names in other places), i.e., they all show the same data. 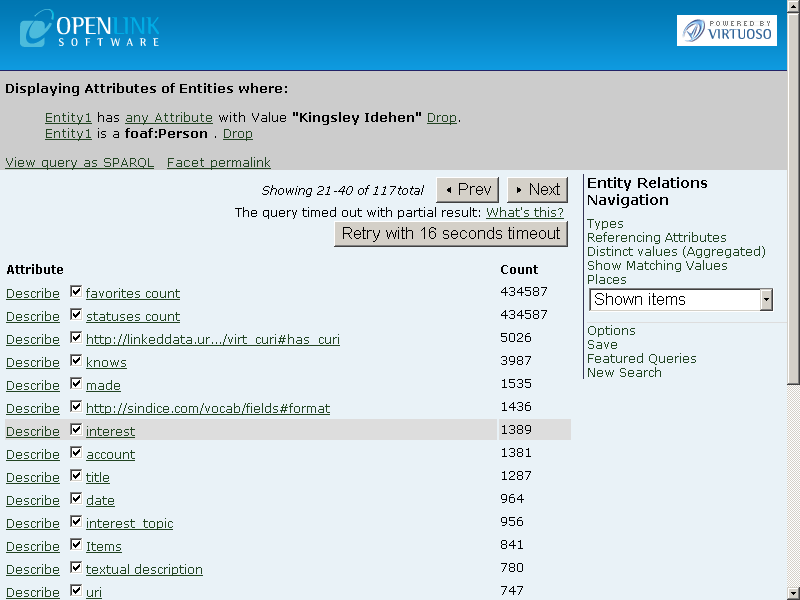 Go to Facets, Entity Relations Navigation", and click New Search. 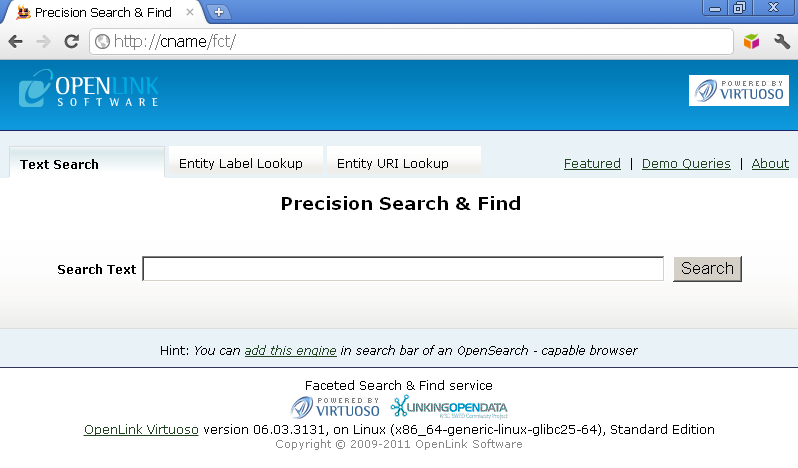 For example, click on the URL link of the first row result.